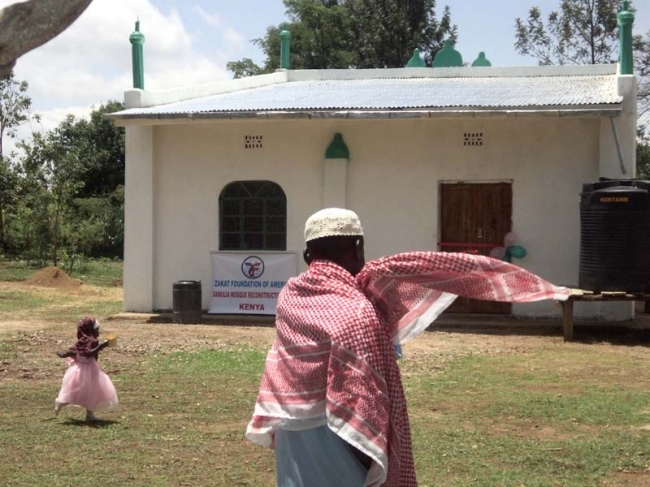 ZF Partners with Local Organization in Kenya to Build a Mosque. Zakat Foundation of American (ZF) collaborated with residents of Samulia in Kenya to fulfill their dreams of building a stable mosque. The Grand Samulia Mosque opened on April 2011 and was proudly celebrated by the Muslims of the Sangalo community. The Samulia Mosque is significant to the entire community in both religious and social development. Harnessing local resources for community development, the venue will serve as a keystone for education and spiritual growth. The impact crossed over religious lines by offering support to the entire community. Regardless of background, all members of the mosque now have a place to facilitate communal services and to enable their sense of community identity and strengthen their unity. During the grand opening ceremony, the District Social Development Officer, Rodgers Waliula, commended the trust and unity exhibited by Muslims and acknowledged the ZF sponsorship of the new establishment. ZF will continue to report the growth and progress of the Samulia community.